Saskatchewan Reads is a companion document to the English Language Arts Grades 1, 2, and 3 curricula. It was created based on sound research, specifically in reading, focusing on instructional approaches, assessment and intervention. Some of the key authors referenced include; Allington, Miller, Fountas and Pinnell, Davies, Cooper, Fisher & Frey to name a few. Furthermore, it showcases the diversity of promising practises that have proven successful in school divisions and First Nations communities within Saskatchewan. Some examples include: Picture Word Inductive Model (PWIM), Reader’s Workshop, Balanced Literacy, Scaffolded/Guided Reading, Levelled Literacy Intervention and Running Records along with many others across the province. The intent of Saskatchewan Reads is to provide a framework for school divisions and systems to build their own reading initiative that meets the needs of their unique student population. This document provides practical supports to teachers as they ensure their students are successful. It is intended to develop increased capacity at the school and system level with respect to improving student reading. 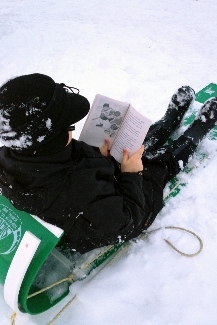 The online version of Saskatchewan Reads saskatchewanreads.wordpress.com will be evergreen with live links and video of examples to clearly illustrate the many promising practices within Saskatchewan. The intent of the online version is to bring Saskatchewan Reads alive. The motivation to create Saskatchewan Reads came from the need to improve student reading in this province as outlined in the Premier’s vision document, “Saskatchewan Plan for Growth: Vision 2020 and Beyond”. All 28 school boards in the province and the Government of Saskatchewan approved the development and deployment of Saskatchewan Reads. Several Saskatchewan publications, along with documents from other provinces, were referenced when creating Saskatchewan Reads. As a result of this work, and more importantly, the skill and talent of our teachers in this province, our students will become proficient readers.